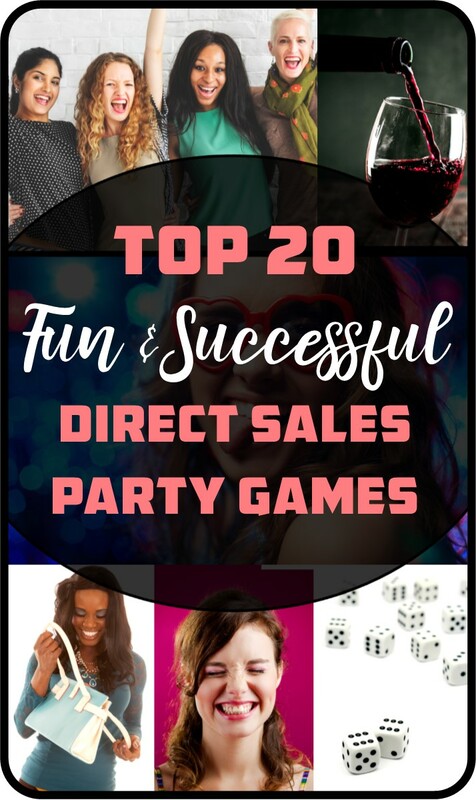 Fun Direct Sales Party Games! These creative direct sales party games are going to help you kick start your in home show parties. If your home parties have been a bit lackluster lately maybe you need some fresh new ideas. These home party games are great for adding fun, excitement, and interest to your show. These are the key ingredients that lead to more sales, higher sales, and a much higher booking rate for hostesses. Create your own BINGO game. There is a great website called print-bingo.com where you can do this for FREE. All you have to do is plug in a list of your product names and they will create as many bingo cards as you need featuring these words in a new random order on each card! Print and pass these out among the party guests and as you call out the different products, you’ll have the opportunity to talk about each one, or discuss a point of interest about your company or business (such as “if you book a party today, you will receive this product for free”, etc). This game is great for product promotion. You’ll need a pack of toddler alphabet cards and enough catalogs for each guests. For each letter you hold up the guests must try and be the first to find a product in your catalog that begins with it. Make sure not to include any letters that don’t have at least one product that begins with it. The first person that answers correctly for each letter receives $5 in auction bucks (or other incentive). After each product is called out you can take that opportunity to educate your guests on that product. You can give out bonus auction bucks to whoever gets the most right by the end of the game. This is a great game to play at a couple’s party to loosen up your crowd and get them laughing and having fun. Again, you’ll need a set of toddler alphabet cards (are you can make them yourself on index cards). Explain that for each letter you hold up the first player o stand up and shout out a word that begins with that letter and describes their partner will receive $5 in auction bucks (or whatever incentive you’re using). This game gets funny and shocking fast, like I said, a great way to loosen up the crowd. This is a very popular direct sales party game you may have heard of. It is called the right left game. Everyone sites in a circle. I use a three gift envelopes filled with auction bucks, or sometimes gift certificates. I start the game by handing out the envelopes to three different people in the group. Inform everyone that you are going to tell a story and that every time they hear the word right they need to pass the prize to the right, and every time they hear the word left they need to pass the prize left. Tell the story. Here is the one I use, feel free to use it or make up your own. RIGHT away they knew it was love at first SIGHT. He did all the RIGHT things and that LEFT her heart flipping. She filled in all the RIGHT holes that his life had been skipping. And said he wanted to always be her RIGHT man. And they LEFT their old places to find a new home that was just RIGHT. And Mrs. RIGHT decided that it would be best to stay home. With Mrs. RIGHT not working the money LEFT would be much less. Then Mrs. RIGHT found (company name) and wondered could it be? Is this something I can do as a mom, is it RIGHT for me? She went to a party hosted by her friend , and it started that night. When she LEFT she knew she had found a fit that was RIGHT. She made friends and made money, and she knew she wasn’t done. She LEFT her job and became a consultant. The company fit just RIGHT. She started booking parties RIGHT away, and my how it changed her life. Mr. RIGHT LEFT his worries behind as money started rolling in. And baby RIGHT loved having his mother at home with him. She got free products, prizes, trips, that LEFT her a career so gratifying. But don’t get LEFT out, this is for real. Could it be just RIGHT for you too? So learn what (company) can offer you, and host a party in your home! You may find you are LEFT with the RIGHT business of your very own.